CARLA HIJAB is our latest and new design of tudung sarung. Sewn usingGeorgette printed fabric for the body, Scuba fabric for the soft awning and finished with rose gold metal plate. 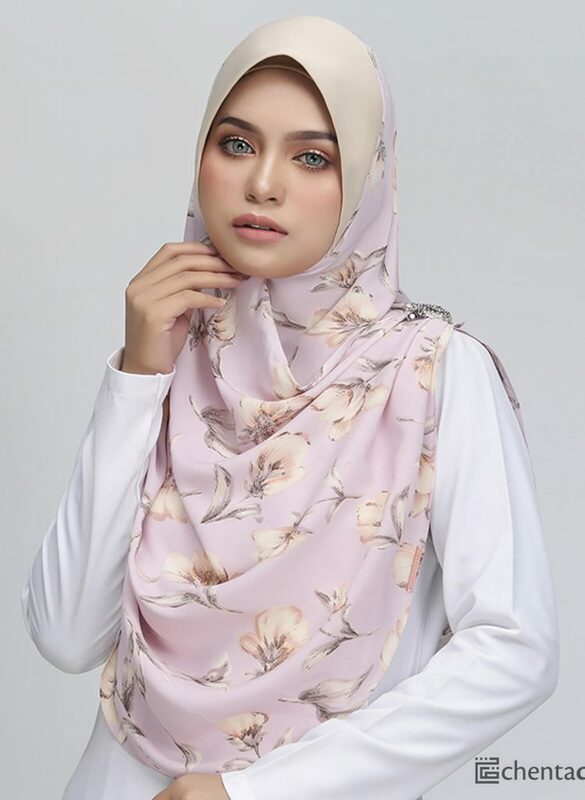 CARLAA HIJAB BRINGING YOU AN EXTRAORDINARY FEMININE LOOK WITH A NEW TWIST MODERN DESIGN! CARLA HIJAB IS FREE SIZE AND ADJUSTABLE ACCORDING TO YOUR PREFERENCE. IT COVERS YOUR CHEST PERFECTLY!